Minnesota, nicknamed the Land of 10,000 Lakes, is a beautiful place to visit if you love the outdoors. Another state nickname is the Gopher State, but gophers are the least of your worries here — Minnesota is also home to bears. Although grizzly bears don't roam the state, you may come across a black bear or two. However, don't let this stop you from exploring the state's natural features. The majority of the bear population lives in the forested areas of northern Minnesota. Although black bears prefer forests, their range extends south almost to the Twin Cities and west almost to North Dakota. A small number of bears are in Anoka and Washington counties, which are the northern and eastern parts of the Twin Cities metro area. Bears in Minnesota usually live in woodland or forest, but they can be drawn south by crops on farmland and by human settlements, both of which are food sources. Wild bears are rare in urban areas, but bears have been spotted in Woodbury, Maplewood, Hudson and along the St. Croix River. Bears are not known to live south of the Twin Cities or in southern Minnesota. Although wild bear sightings can be rare, there are two places in Minnesota where you'll definitely see bears. The Minnesota Zoo in Apple Valley has a brown bear exhibit and Como Zoo in St. Paul has something more exotic: Polar bears. Although black bears have killed humans, bear attacks are rare in Minnesota. Since 1987, only a few attacks in Minnesota have been recorded. A bear attacked campers in the Boundary Waters Canoe Area Wilderness in 1987. In 2002, a researcher studying woodcock near Milaca was attacked. In 2003, a Grand Marais woman who surprised a bear in her garage was attacked. A woman was attacked by a bear near her home in Carlton County in 2005. In 2016, a mother bear attacked a woman on her deck. None were fatal. The only fatal attack recorded in Minnesota (as of mid-2017) was in 2007 when a man was killed in the woods near Ely. 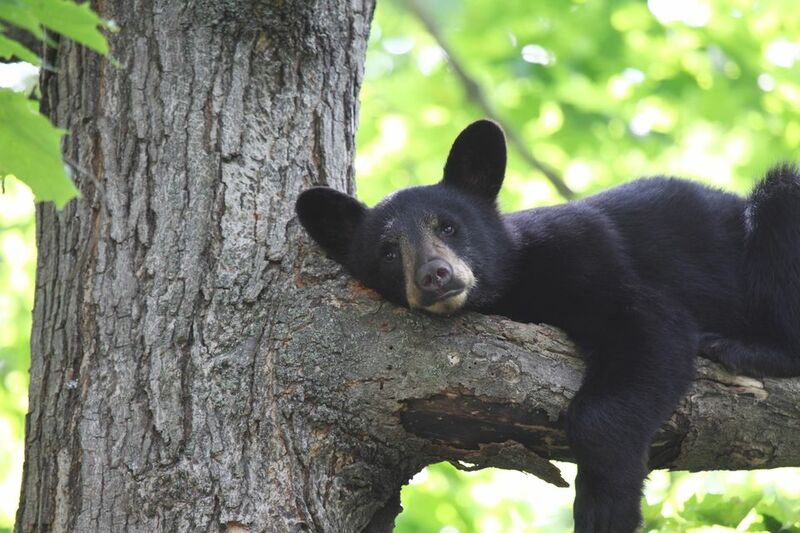 Bears usually try to avoid people, but sometimes they come in conflict with humans when they eat crops, destroy apiaries, or break into garbage cans and birdfeeders. The good news is that you may hear a bear before you see it. They make snorting, huffing, and jaw-popping sounds when trying to scare off intruders. When cubs are scared, they make squealing noises.